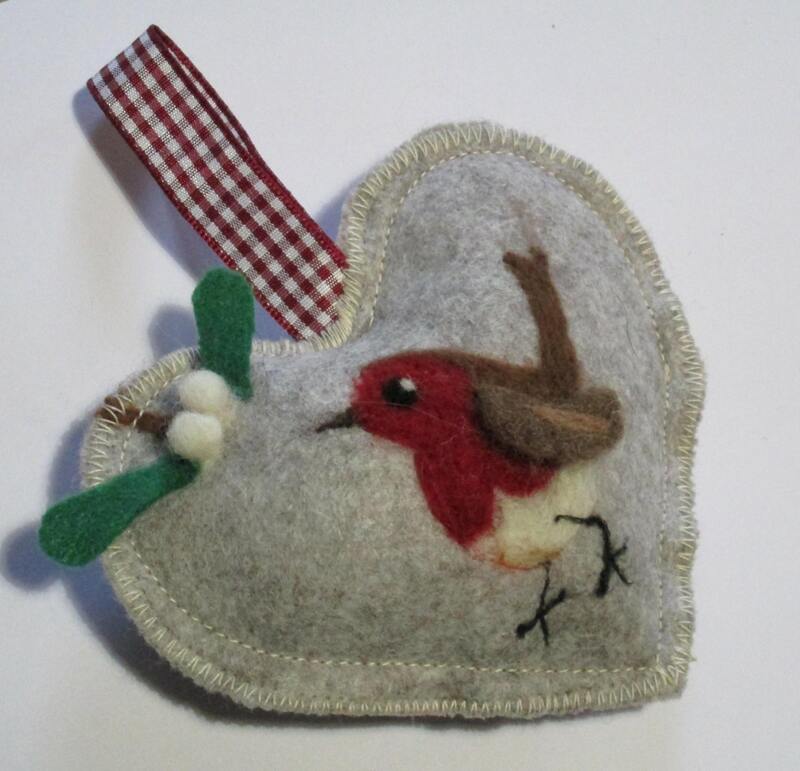 This is a Robin with mistletoe spice heart for the festive season, carefully needle felted by hand and made with a warm aroma of seasonal spices. 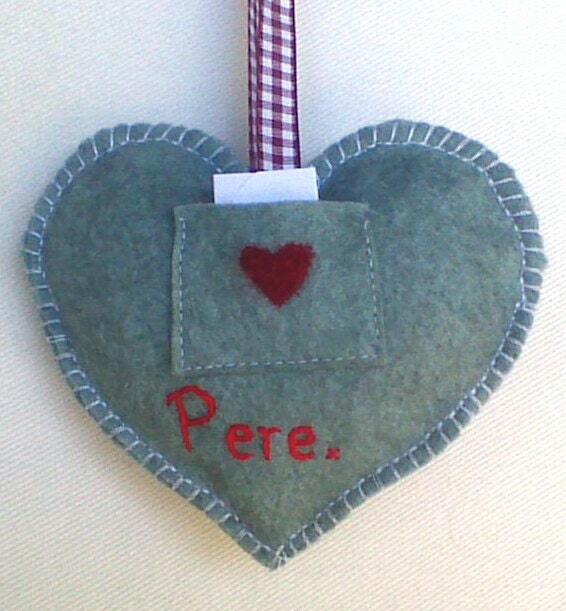 Can be used as a Christmas gift or a card as it has a small not let pocket on the back. 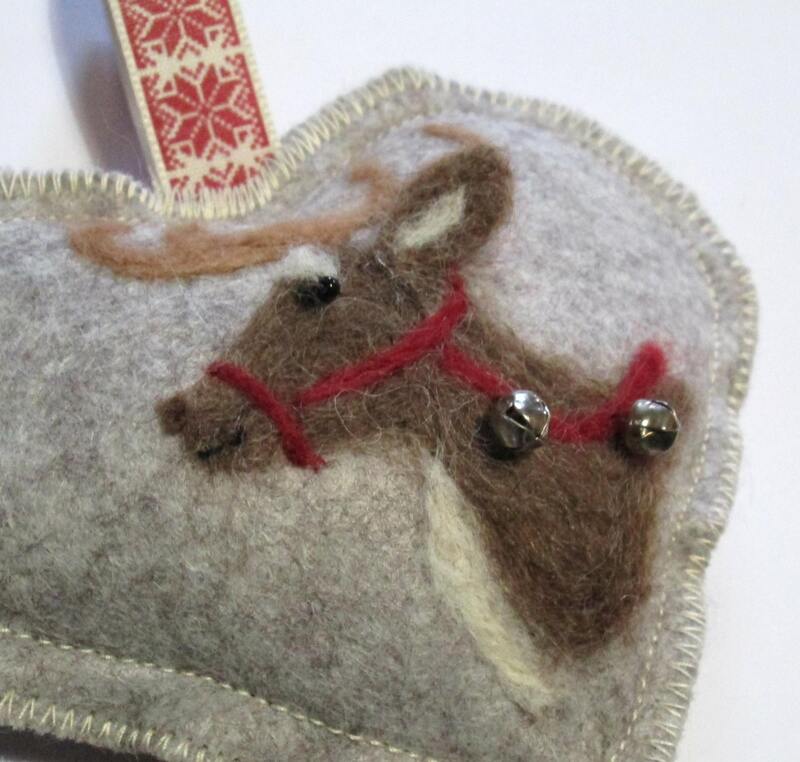 He has been felted with pure wool onto marled wool felt. 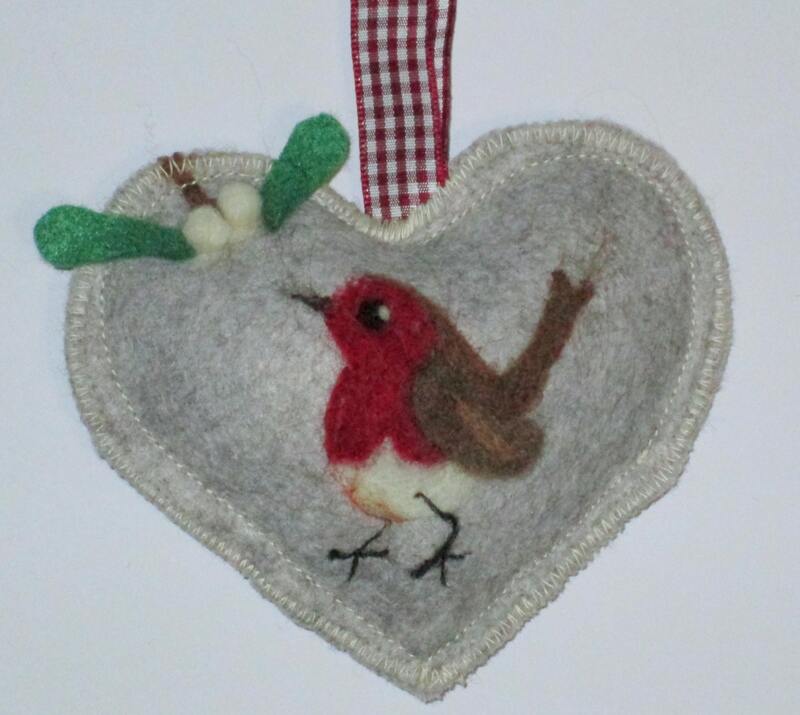 His wing and the berries are all 3 dimensional which bring him to life. 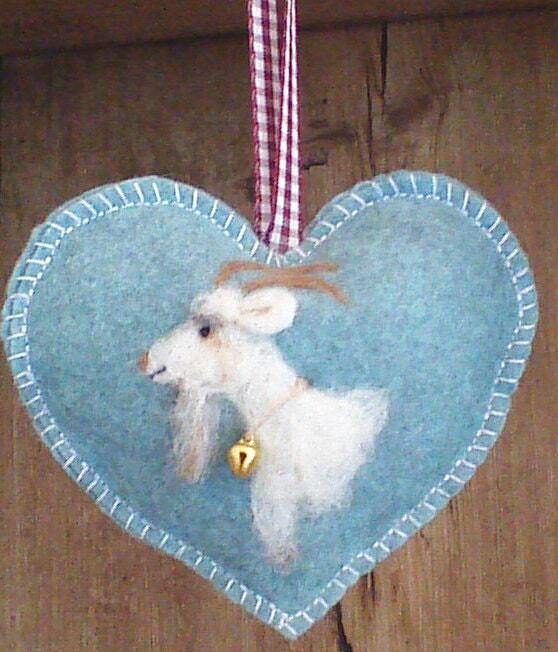 The goat with a goatee spice heart as shown in some of the photos is also available as is the deer, please follow this link to it's own listing.